GUIDE! Life’s best moments deserve to be remembered. Don’t miss getting it on film with a GoPro Camera. We’ve made a mini guide for you to better navigate in the GoPro cameras. Because, which GoPro camera to choose? Read the guide and discover, which type of GoPro user you are! The most action-packed GoPro H7 camera of them all. Full of extraordinary functions. Are you a true lover of specs? Then choose GoPro H7 Black! The GoPro H7 Black is the camera for you, if you only want the best. The H7 action camera is packed with specs. You will never be low on new functions to try. If you love to go deep in editing videos, and you only want the best of the best cameras, then H7 Black is definitely the camera for you. It has the highest MP’s, 12 Mega Pixels, the most advanced video stabilizing system, 8 times slow motion, GPS to track height and speed and most important of all, a removable battery! This way you can get a spare, and never let the GoPro leave your hands. Choose the GoPro HERO 7 Black if you do not want to compromise, and you have a deep love for making action packed videos. The GoPro H7 Silver is the camera for you, if you want the best of both worlds! You get cool design, easy user interface and a range of cool functions. You are an uncompromised spec-lover, who also needs easy user interface, without too much decision-making. 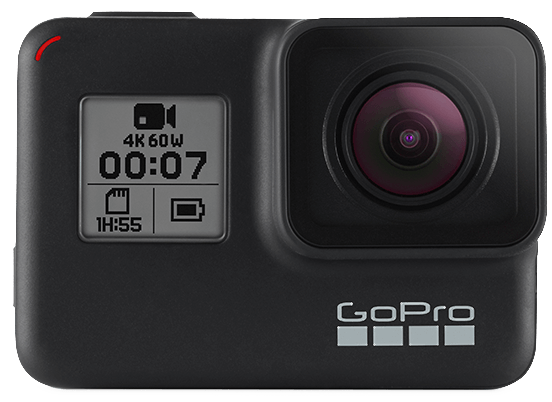 With the GoPro HERO7 Silver you get 10 MP with WDR, 4K30 video, but also the build in battery – this way you do not have to worry about carrying around a charging station, but only the cable. Furthermore, the H7 Silver still gives you GPS if you love adventure – this lets you add filters of height, speed and other stuff. You should choose the GoPro H7 Silver if you love adventure, but do not want to over complicate things. Looking for high quality, but without too much decision making? Then choose GoPro H7 White action camera. A simple but durable quality camera. The GoPro HERO7 is the right camera for you, if you are looking for easy user interface. It has all the basic specs, it is compact and easy to bring everywhere. If you wish to make good footage of some of life’s best experiences, without striving to become a youtuber or vlogger, this video quality is perfect for you. Maybe you are in a family with kids, and want to bring the camera to the beach to document all the fun activities you have here? 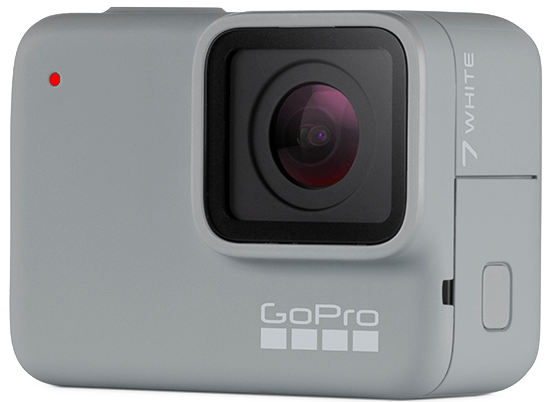 If this is the case, then GoPro H7 White is the camera for you. Do you know which GoPro camera to choose now? Maybe you want to have an extra glance at all the cool products with great functions? Then hop over to the overview of all from GoPro at Keyclubco.com. Press the link below, and explore the cameras and accessories from GoPro. Find mounts to all from extreme sports to more ordinary activities. With a GoPro H7 camera from GoPro you will never miss out on having great films in high quality!